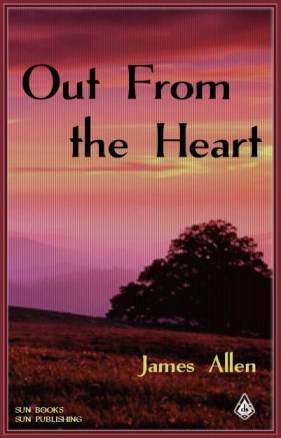 OUT FROM THE HEART by James Allen The Heart and the Life, The Nature of Power of Mind, Formation of Habit, Doing and Knowing, First Steps in the Higher Life, Mental Conditions and Their Effects, Exhortation. 54 pgs. 5x8. Pbk. ISBN: 0-89540-228-9. $7.50.